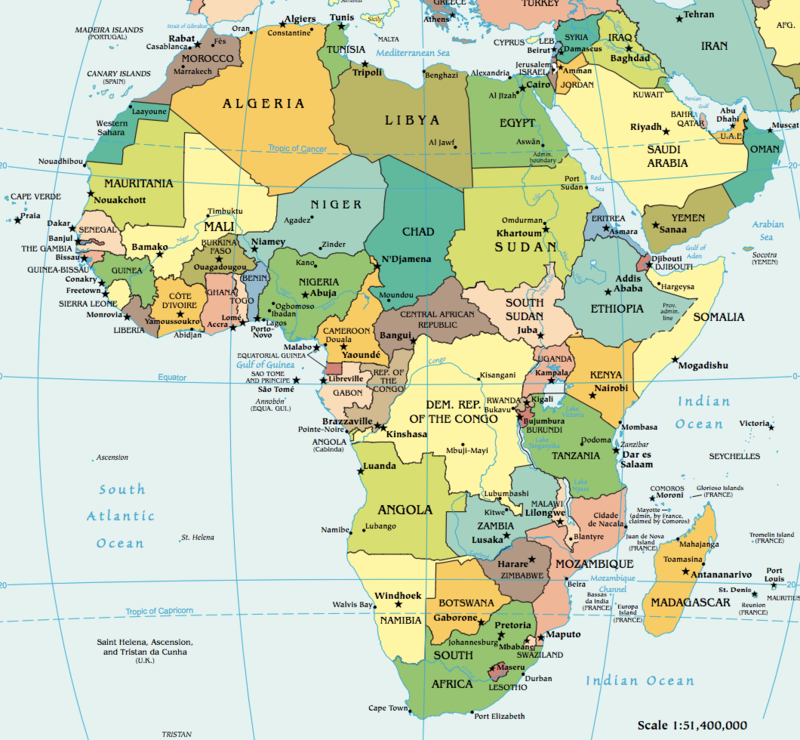 In each African country there are multiple phone carriers. For the purpose phone verification, a web service needs to send voice & SMS OTP (also known as one-time PIN) by communicating with one of the many global voice & SMS verification services, such as Twilio, Infobip, Nexmo, MessageBird, etc. or regional ones like Cequens, Plivo, Tropo, etc. which sits astride the Internet and phone infrastructure. Our previous research shows that using a single voice & SMS verification service never gives you the optimum voice & SMS OTP deliverability globally since each service, depending on their complex partnerships with phone carriers in each region, etc., will excel in in some regions/carriers, while falling short in others. How important is choosing a single voice & SMS verification service that delivers OTP? What is the drop in OTP reliability if we wrongly choose a poor voice & SMS verification service? 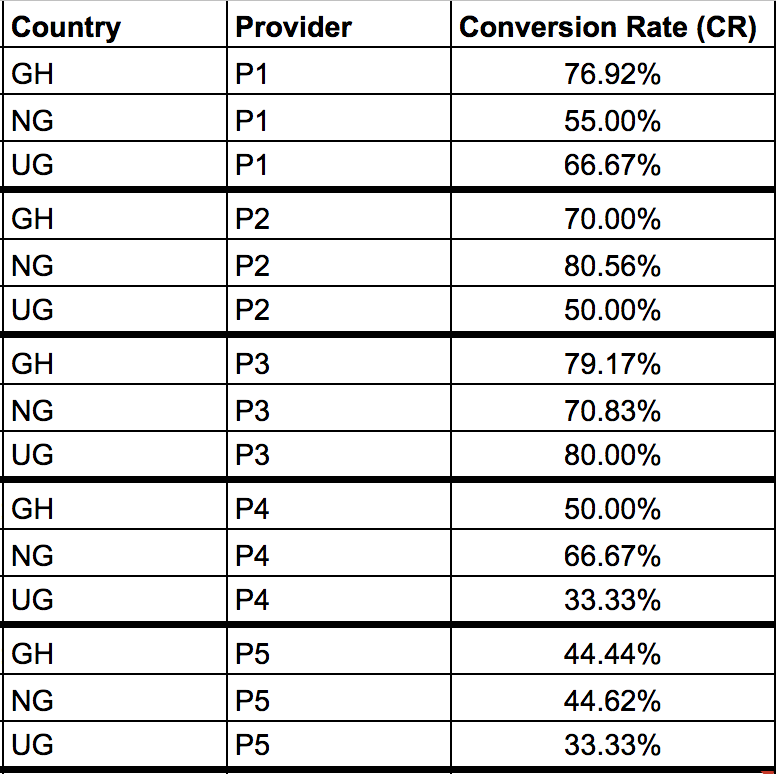 The table below shows how each service (anonymized as P1 - P5) fare in terms of conversion rate for African countries: Ghana (GH), Nigeria (NG), and Uganda (UG). This data is used to answer the questions asked. How important is choosing a single voice & SMS verification service for African countries? Does using multiple voice & SMS verification services improve reliability of OTP deliverability in Africa? Theoretically, we can combine 2 voice & SMS verification services to improve the conversion rate. This is a combinatorial problem, which there are 10 possible combinations. Similarly, we can combine 3 voice & SMS verification services to improve the conversion rate. As there are a lot of combinations, we can do this heuristically; 2 of the 5 carriers have the highest delivery rates for all the 3 African countries in comparison, thus a 3-service combination will not improve on the OTP delivery reliablity of a 2-service combination. The effect of using a 2-service combination, is very obvious; the average Reliability across any 1-service 60.10% (from Table 2 but calculation not shown) jumps to 70.46% (from Table 3a but calculation not shown) when any 2-service combination is employed. You can see the color code for Reliability in Table 2 moving from purple and red to mostly yellow in Table 2. The Sensitivity of any 2-service provide across all African countries is also less, i.e., OTP deliverability is more stable across countries; the Sensitivity average & variance for 1-service combination is 21.25% and 0.012%, compared to that of a 2-service combination 16.94% and 0.013%. 2-service and 3-service combination is superior to 1-service average Reliability by more than 3%. How important is my choice when choosing to use a single voice & SMS verification service? What is the drop in OTP reliability if we choose a poor voice & SMS verification service? Does using 2 or more voice & SMS verification services help improve OTP reliability? In Africa, there are more phone verification services that has poor reliability because the phone infrastructure is less mature, and it is difficult for a single voice & SMS verification service to be reliable across a large number of countries. Thus choosing this right voice & SMS verification service is really crucial. In other words, don’t risk choosing a wrong voice & SMS verification service, use RingCaptcha because we know the best voice & SMS verification service/country combination for Africa. 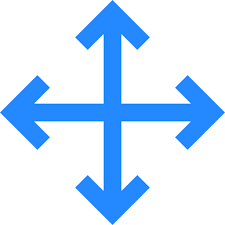 With RingCaptcha, you only maintain a single relationship with our SMS/voice OTP provider marketplace, develop for a single API, and you are never locked-in to any specific voice & SMS verification service. What is more we build in all these OTP fallback features plus fraud mitigation features so you don’t have to - you just make a single API call to send OTP, and everything else magically happens in RingCaptcha.